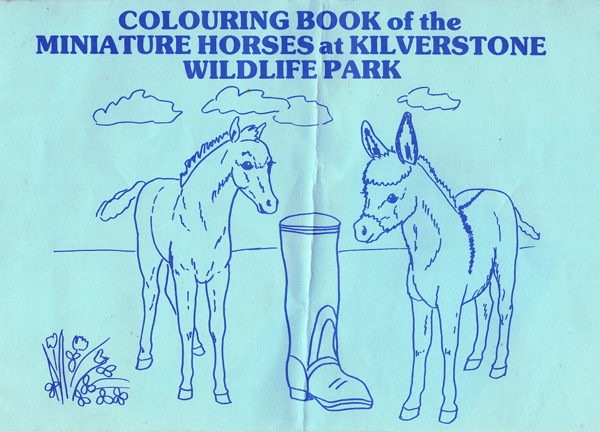 Kilverstone Latin American Wildlife Park (sometimes known as Kilverstone New World Zoo) was opened on April 1st 1973 by the comedian Frank Muir. Set in the sprawling grounds of Kilverstone Hall in Norfolk, the home of the late Lord John Vavasseur Fisher and his second wife, Lady Rosamund, younger daughter of Lord Clifford of Chudleigh. 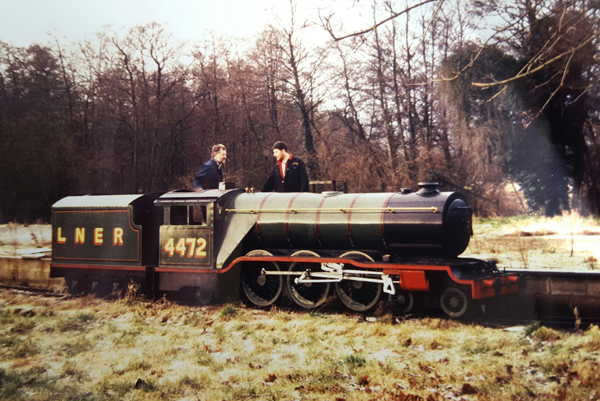 The estate dates back to the time of Edward the Confessor and became the property of William the Conqueror after the Battle of Hastings. It remained in the property of the Crown until Henry 1 gave it to William de Albany who presented it to the Priory of Monks in Thetford and the house was known as Monks Hall for many years. 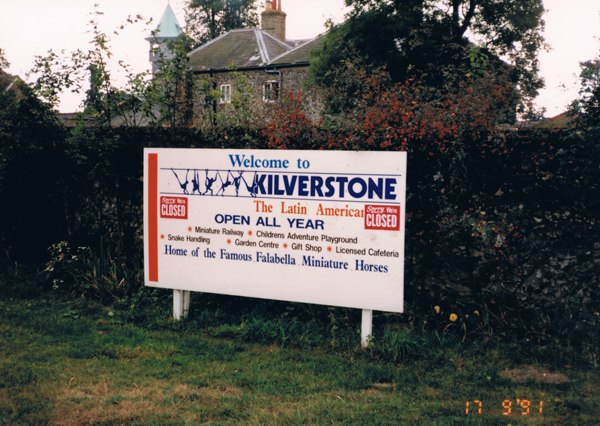 After the Dissolution of the Monasteries (1536 – 39) by Henry V111 Thomas Wright bought the Manor of Kilverstone and the adjoining Manor of Coxford in 1585 and in 1620 he built the original Hall on the site of the older Monks Hall. 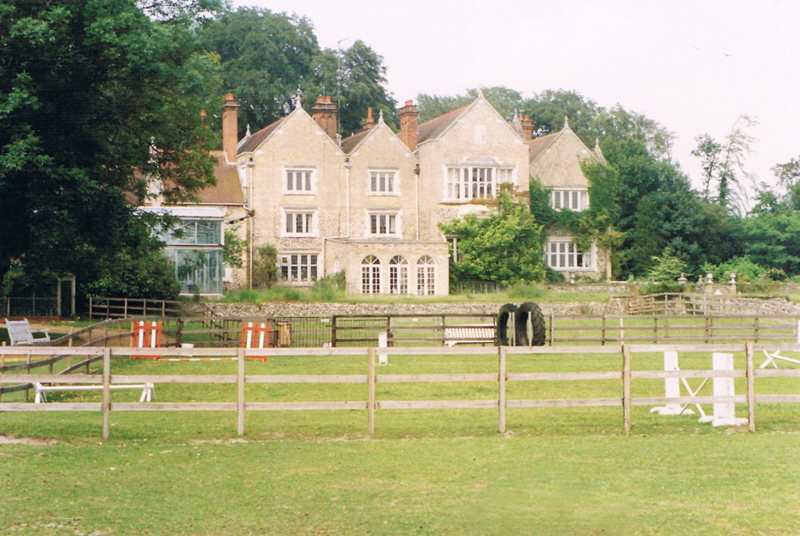 Mr Vavasseur bought Kilverstone in 1895 and having no heir he left the property to Cecil, 2nd Baron Fisher, son of his friend Admiral of the Fleet Lord Fisher, with whom he had worked building and arming Britain’s modern Navy. As a midshipman, the Admiral had first gone to sea on H.M.S. Calcutta as part of the fleet blockading the Baltic Sea in 1854 during the Crimean War. Subsequently he was attached to her in many appointments up to the rank of Commodore and in 1872 when she was attached to H.M.S. Excellent, the naval gunnery school, he started the Torpedo branch. The Board of Admiralty sold the figurehead, nameplate and many of the timbers of this fine ship to Cecil, 2nd Baron Fisher, in 1922 when she was broken up after 90 years in the Service. The figurehead was set up at the bottom of the Admiral's Walk in the flamingo garden near the boathouse. The weather and time had rotted the beautiful teak wood from which the figurehead was carved. 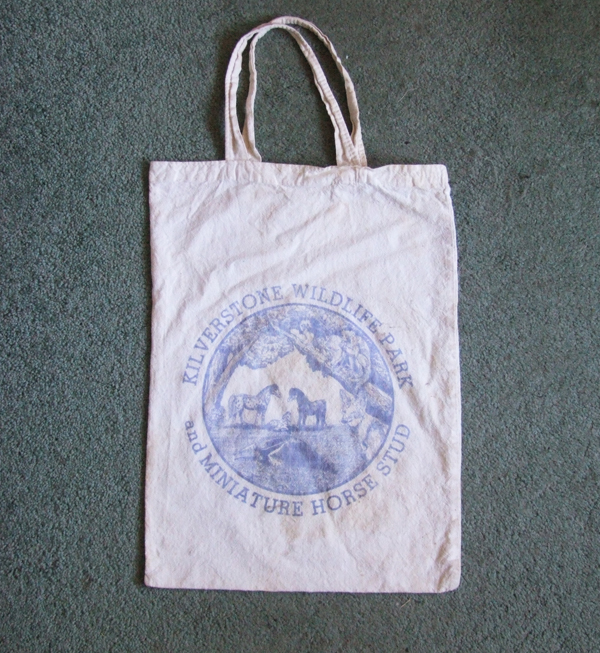 However it was expertly repaired. 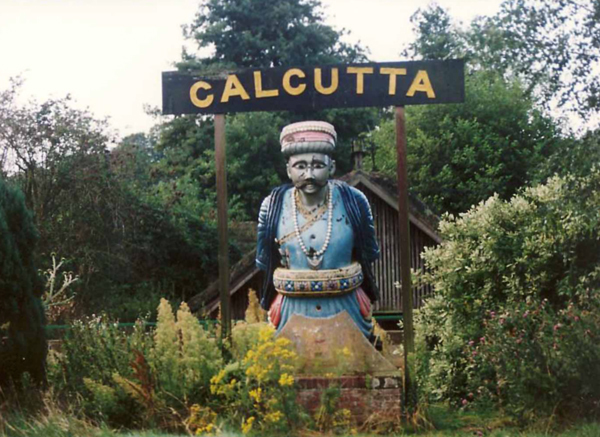 The Calcutta was one of a class of four ships built in Bombay and she was presented to Queen Victoria by Sir Jamset Geegeegeboy, a well loved and honoured Parsee Baronet. This unusual and very large figurehead is probably the largest in existence and it now resides at the National Museum of the Royal Navy in Portsmouth. 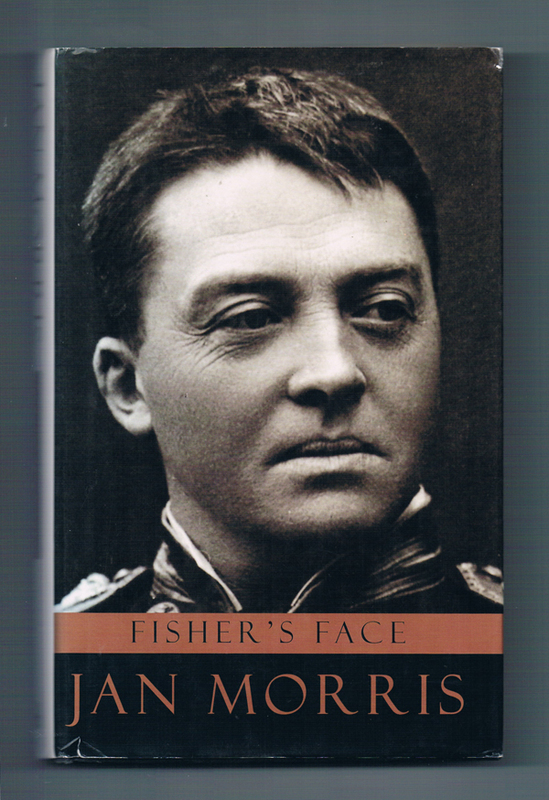 Written by Jan Morris, this book is a fascinating insight into the life of Admiral of the Fleet, Lord 'Jacky' Fisher, during the First World War. 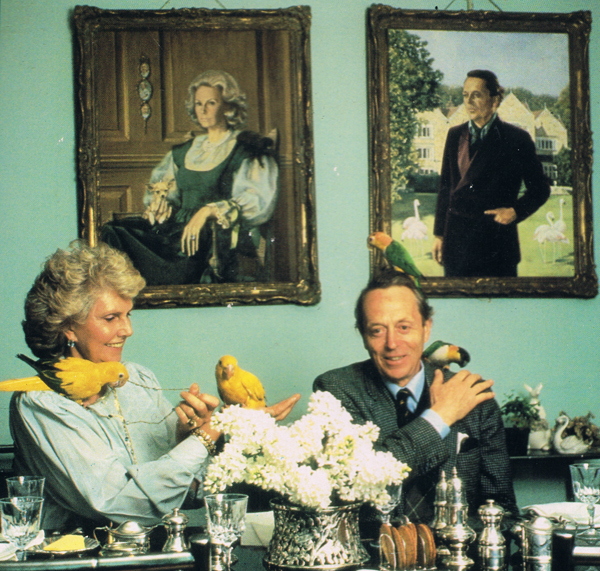 Cecil, 2nd Baron Fisher, laid out the gardens, and planted one million trees on Kilverstone Estate, helped and encouraged by Lady Fisher, who was the daughter of Randal Morgan of Philadelphia. Before their marriage Lord Fisher had spent 15 years in the Indian Civil Service where his final appointment, before being invalided home, was as a Judge in the District Court at Darjeeling, the famous tea growing area just south of the Himalayas. 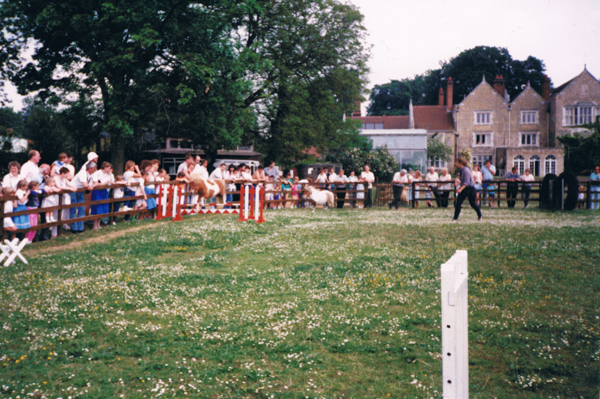 Visitors to the zoo would gather in the afternoon to watch the Falabellas perform jumping displays. Photos: Mr and Mrs J. Shaw, courtesy Amanda Howe. 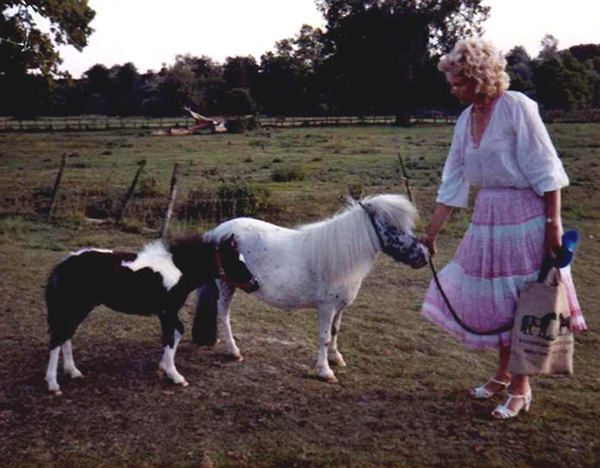 Susan Eckholdt with Falabella and other miniature horses at Kilverstone New World Zoo, spring 1982.
imported by The News of The World in 1973. 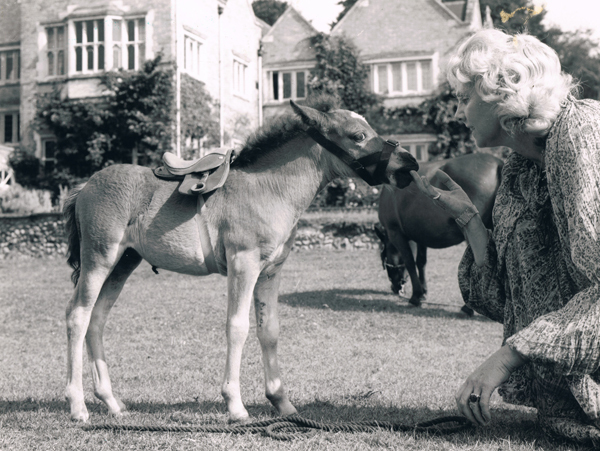 Lady Rosamund Fisher with Falabella filly Evita of Kilverstone. had been neglected by other establishments. 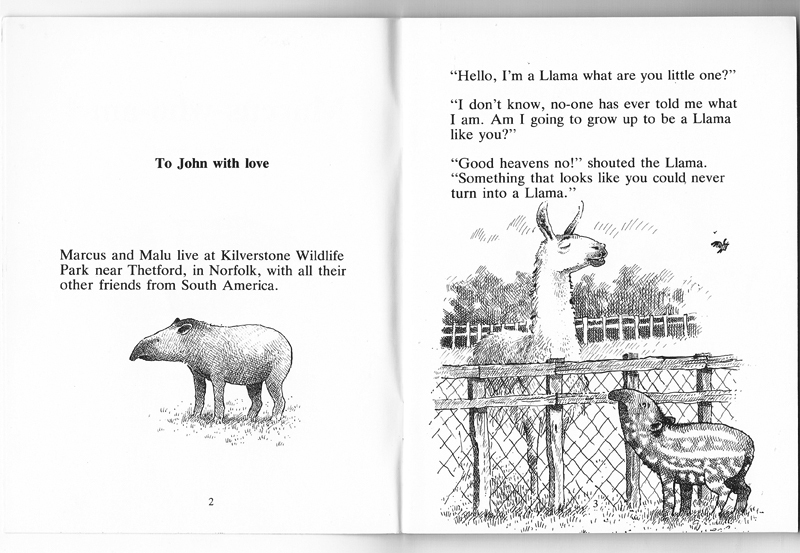 In fact Kilverstone was the only zoo outside America to specialize in Latin American Animals. at the Equuleus Falabella Stud. 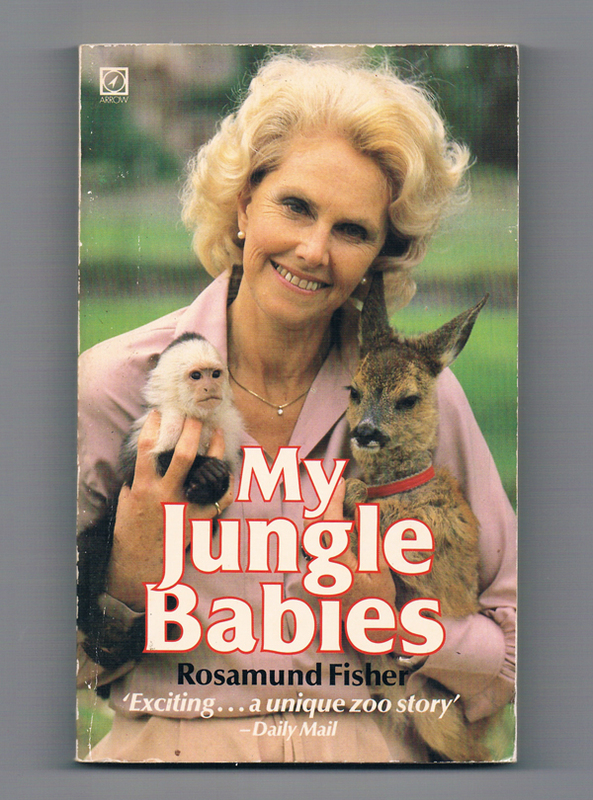 Rosamund Fisher's fascinating, and often humourous, story of Kilverstone New World Zoo. 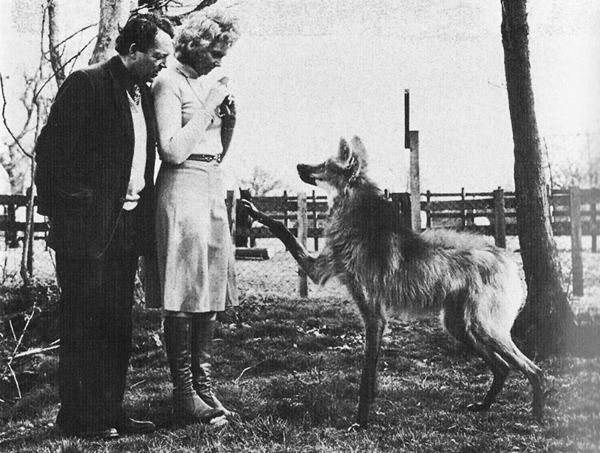 Lord and Lady Fisher with Rudolph the maned wolf. 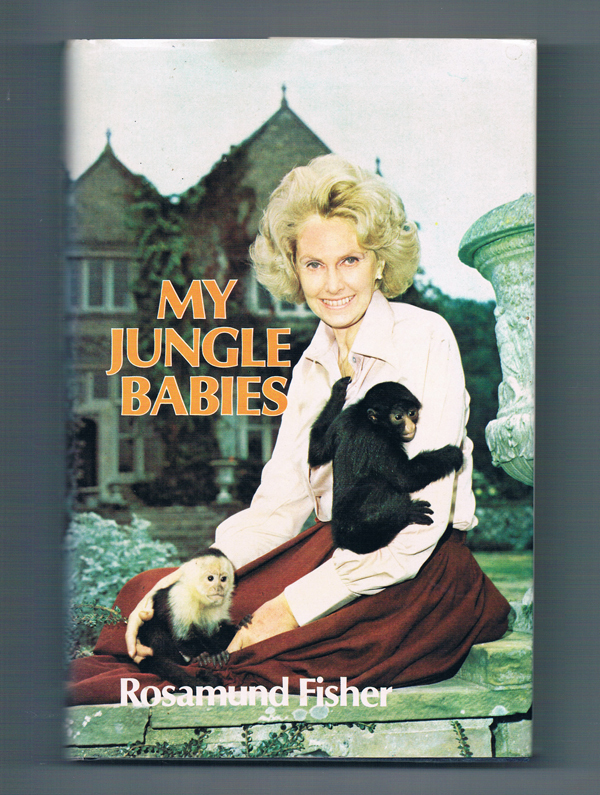 Over the next 18 years the Fishers built up a collection of over 800 animals, and established Kilverstone as an internationally recognized centre for breeding and rearing endangered species such as tamarins, spider monkeys and marmosets. 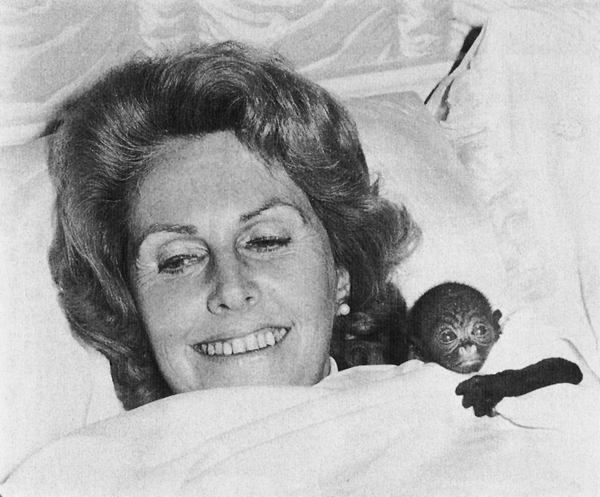 Many animals were hand-reared. 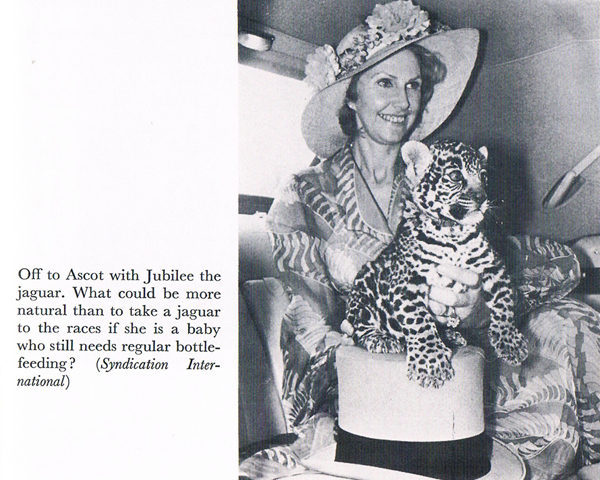 A jaguar born in 1977 was taken into the house, kept in a basket by the Fisher’s bed and even accompanied them to Royal Ascot in order not to miss its three-hourly feeds. 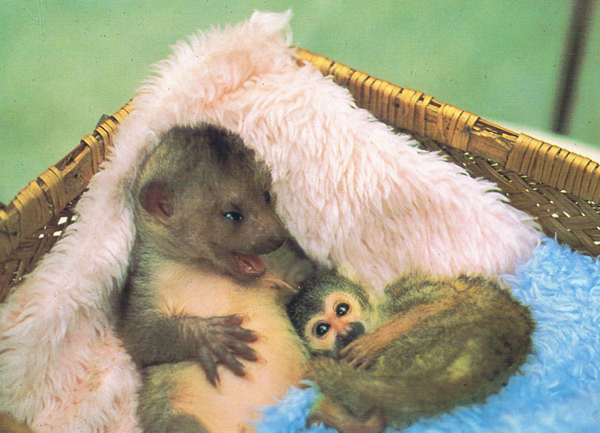 Baby Kinkajou and baby Squirrel Monkey at Kilverstone. 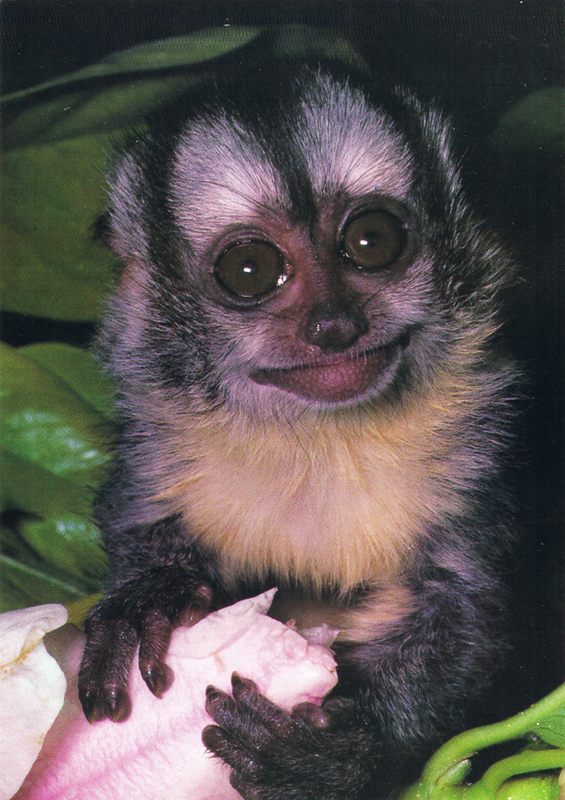 'Happy' The Douroucouli Night Monkey at Kilverstone. 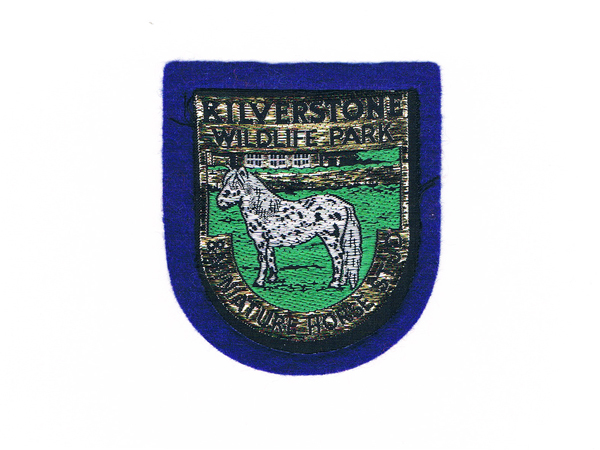 Lord and Lady Fisher also founded the Kilverstone Wildlife Charitable Trust. 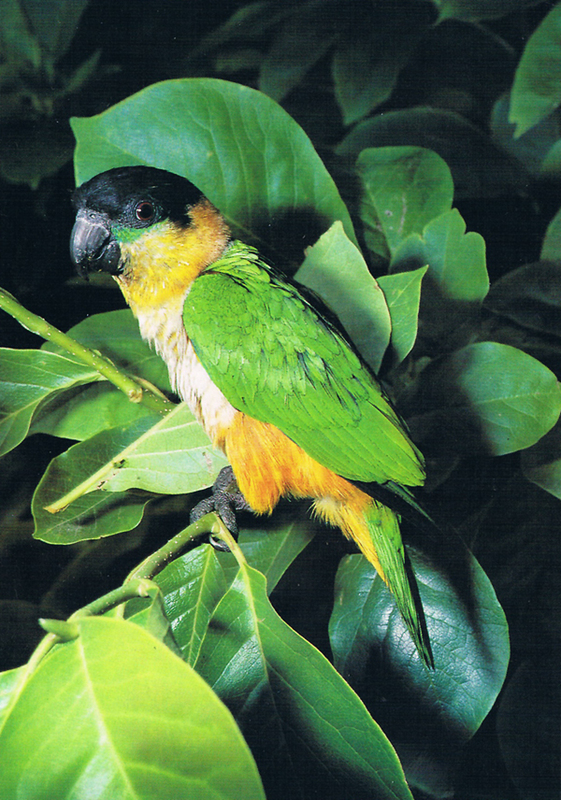 Created to support the breeding and studying of Latin American fauna and their preservation. 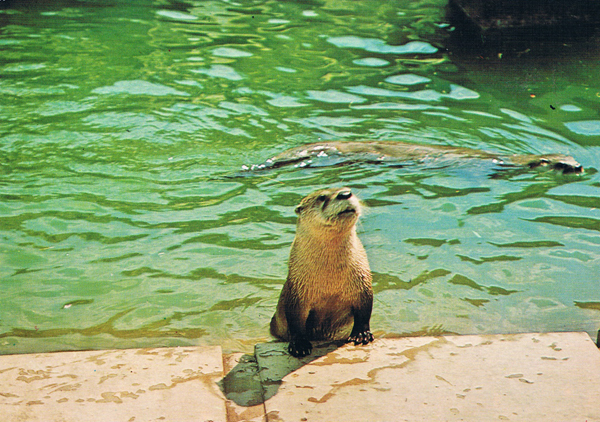 At the height of its success the zoo attracted some 160,000 visitors a year. 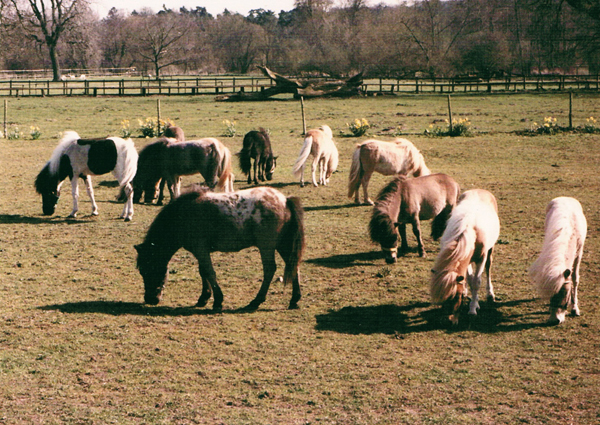 The most popular animals were the Falabella miniature horses from Argentina. 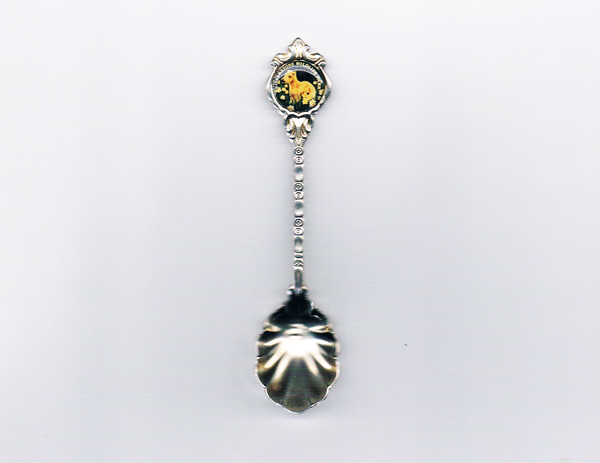 Lord and Lady Fisher had first purchased two Falabellas from Argentina in 1977. 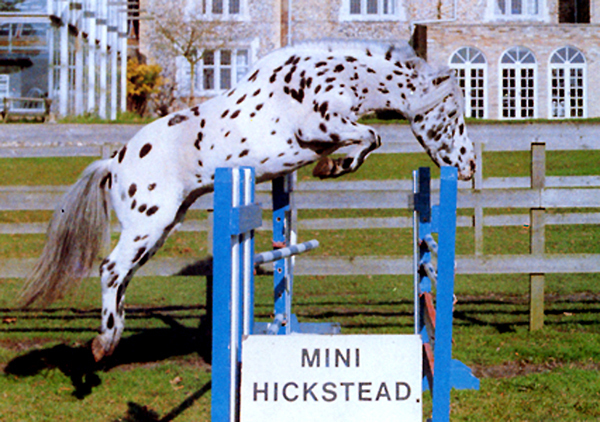 Prior to their first Falabella imports, Lady Fisher had a Miniature Horse Stud at Kilverstone, based on miniature Shetland and British Spotted Pony bloodlines. 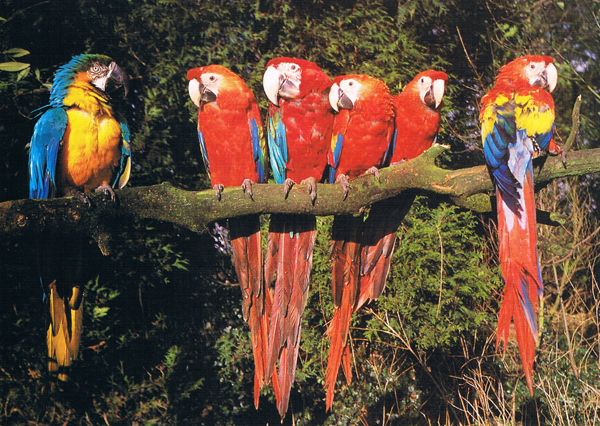 They visited Argentina the following year, selecting six from Sr Julio Cesar Falabella’s ‘La Cautiva’ ranch. ‘Now’, said Sr Falabella, I will take you to see the spotted stallion in your photograph.’ Down the great driveway flanked by phalanxes of eucalyptus trees, he led us to yet another field. 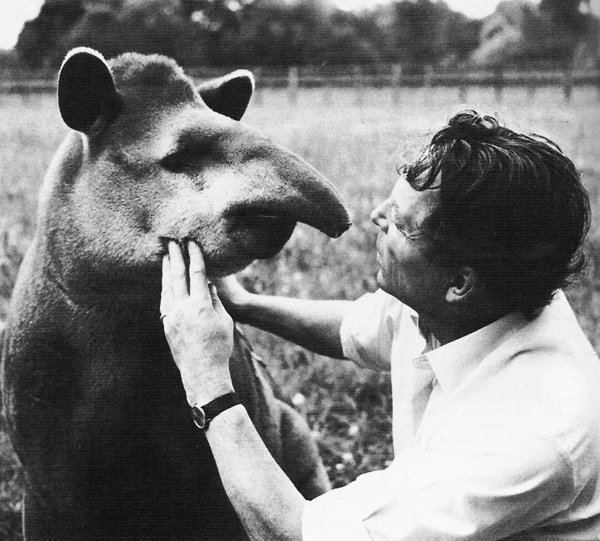 And there was Menelek, the horse from the photograph. 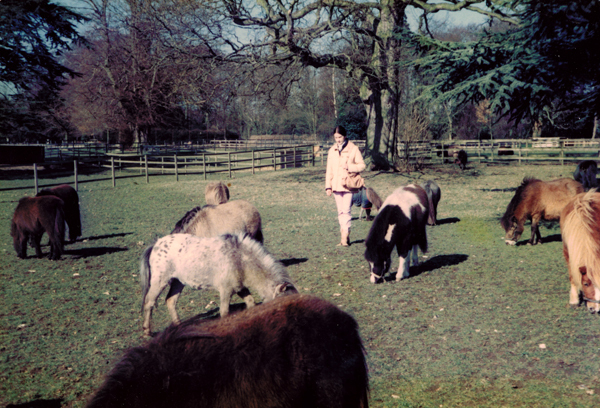 In 1979 the Fishers borrowed a tiny Falabella mare, Falabella Al Graten, from Yorkshire on a breeding loan, returning her to her owner Helen Sutcliffe in 1981. This little mare had been imported by 'The News of the World' and offered as the main prize in a newspaper competition. 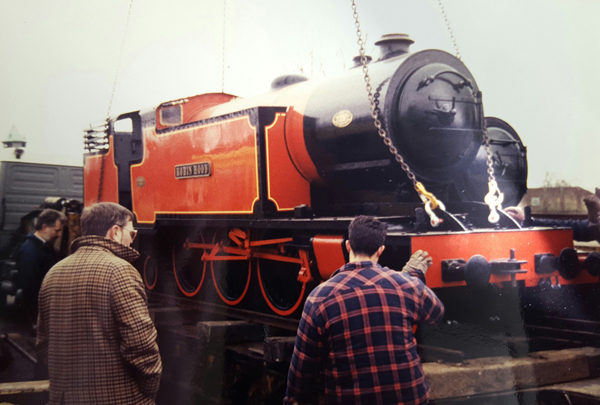 For more information please visit the 'UK Archives' and 'Legends' and 'History' pages. This glorious Falabella stallion demonstrates the exquisite 'Arabian type' Falabella that could occasionally be bred from these Kilverstone bloodlines. We are so lucky to have this horse back at the Equuleus Falabella Stud, from where he left for Sweden 'in utero' in 1992. 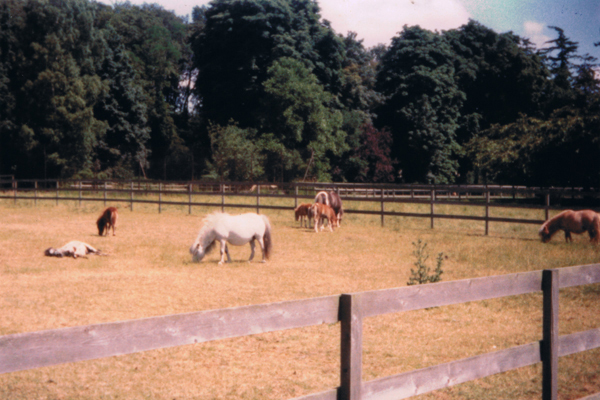 The Equuleus Falabella Stud was founded on six of Lord and Lady Fisher's Argentine imports (Menelek, Chico, Julio Cesar, Morenita, Pepita and Argentina) and the little mare Falabella Al Graten. 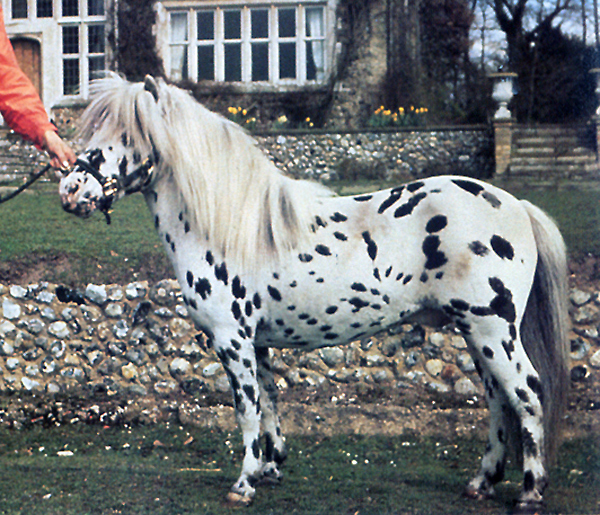 Falabella Al Graten (black pintaloosa with blue eyes) imported by ‘The News of the World’ in 1973. 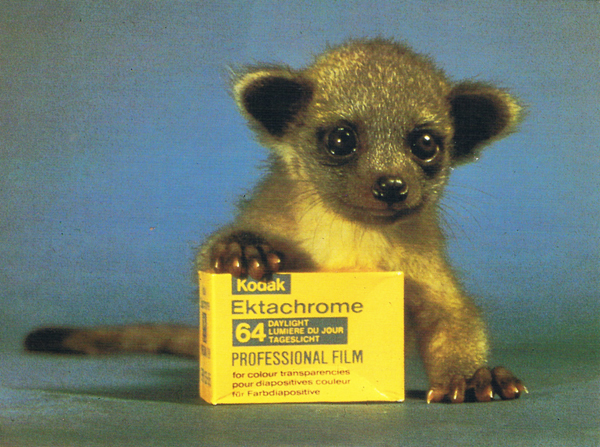 Photographed at Kilverstone Zoo, during a three year breeding loan from Helen Sutcliffe in Halifax. 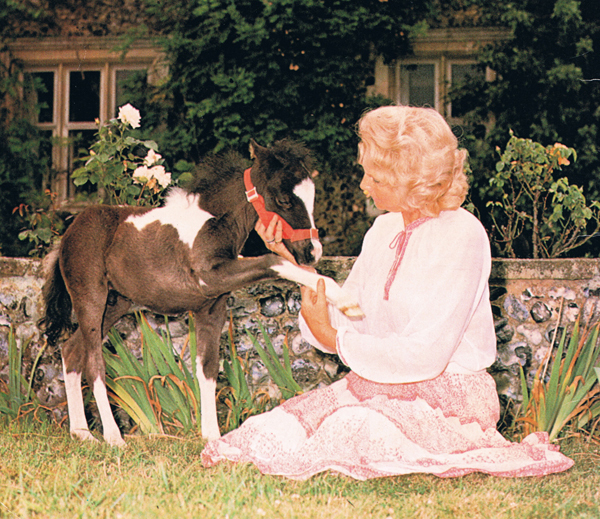 Pictured here with her second foal, Jamie of Kilverstone, by Falabella Menelek. 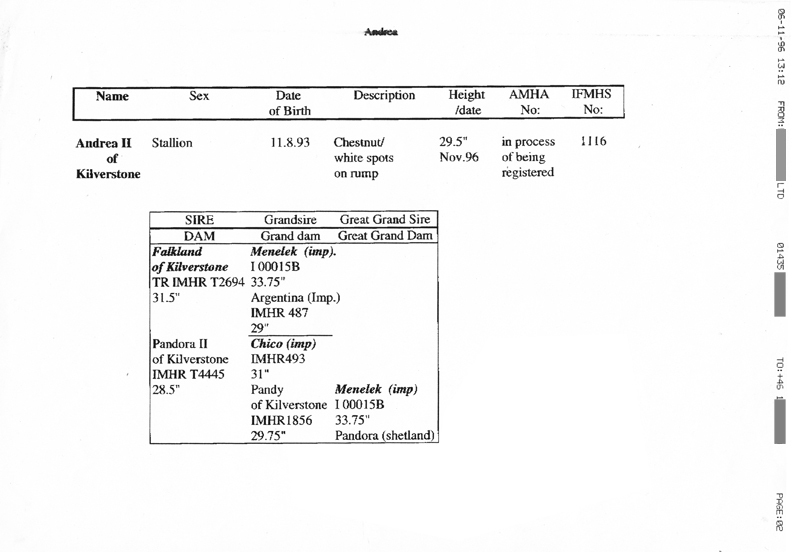 Lady Fisher was the first to person to register this mare with the AMHA, giving her the name Marina. On her return to Yorkshire Mrs Brenda Sutcliffe AMHA registered her as Bronco. 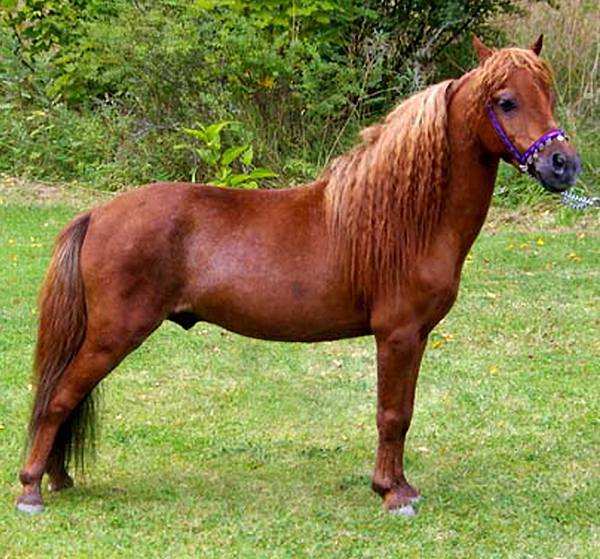 It was not until the re-enrollment required by the Mother Studbook (the Asociacion de Criadores de Caballos Falabella) in 1990 that her birth name Falabella Al Graten was discovered. This little mare had been offered as the main prize in a ‘The Sun’ newspaper competition. For more information please see ‘UK Archives’ and ‘Legends’pages. 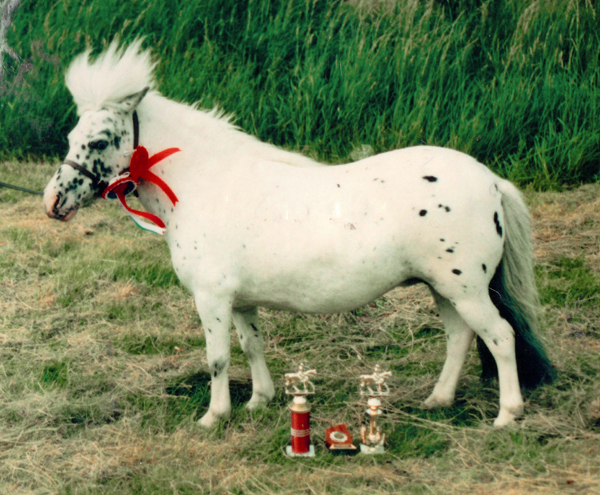 Falabella Al Graten, Supreme Champion at the first ever All Miniature Breeds Show in Doncaster. 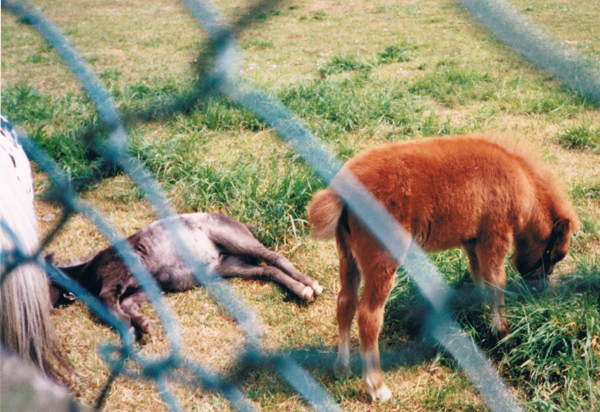 Falabella Al Graten (appaloosa) with her new filly (the appaloosa) Carlotta of Kilverstone at Kilverstone Zoo, spring 1980. 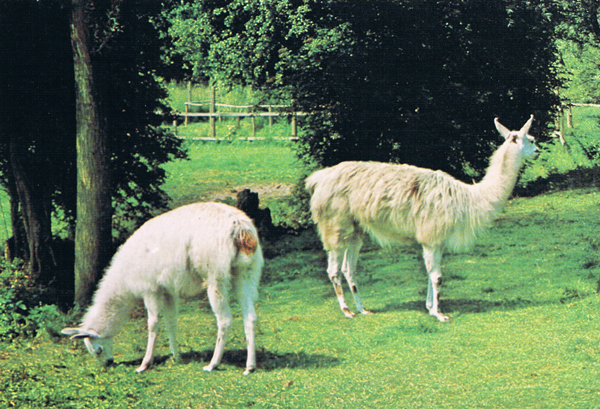 If you have photos of this pair in 1980 we would be interested in seeing them. Photo: Mr and Mrs J. Shaw, courtesy Amanda Howe. 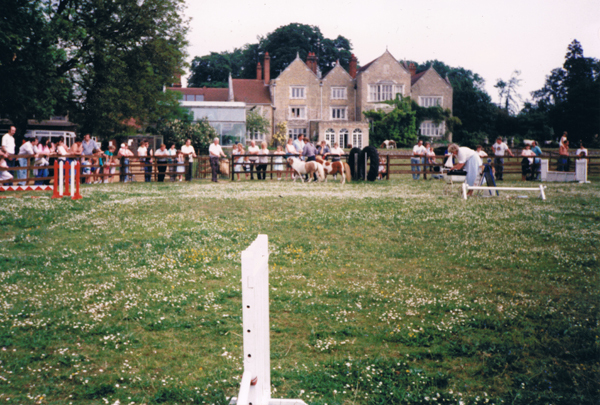 Falabella and other miniature horses at Kilverstone in 1984. Photo: courtesy Mrs Margaret Brown. 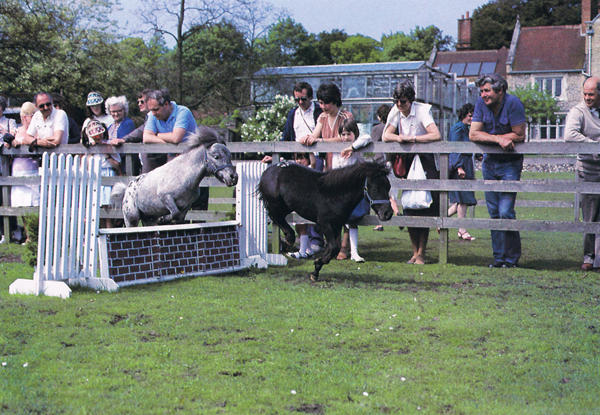 Falabella and other miniature horses at Kilverstone c. 1980. 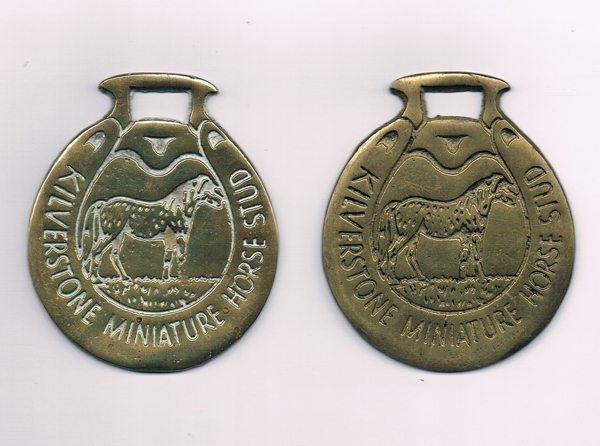 Horse brasses (depicting the famous Falabella Menelek) that were on sale at the gift shop at Kilverstone Wildlife Park. 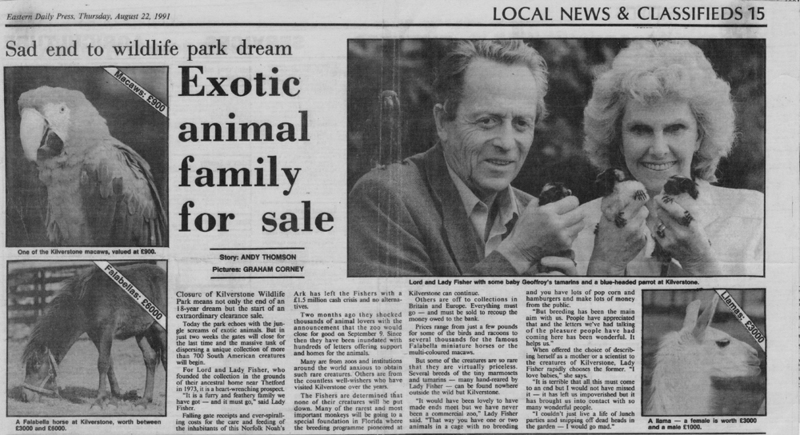 Lord and Lady Fisher sadly closed their internationally respected Kilverstone Wildlife Park after years of losses in late 1991. 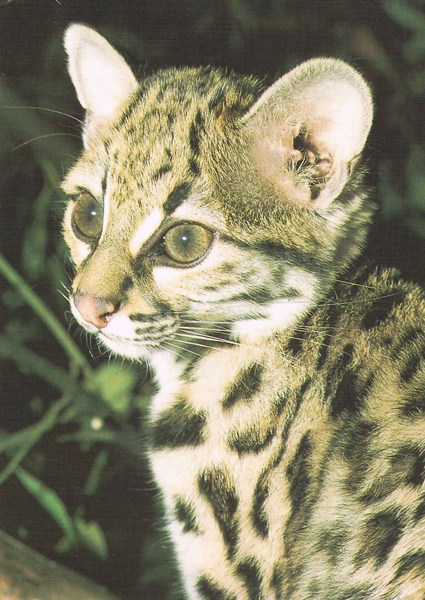 The soaring costs of running a Latin-American zoo and employing 20 staff, became too great. 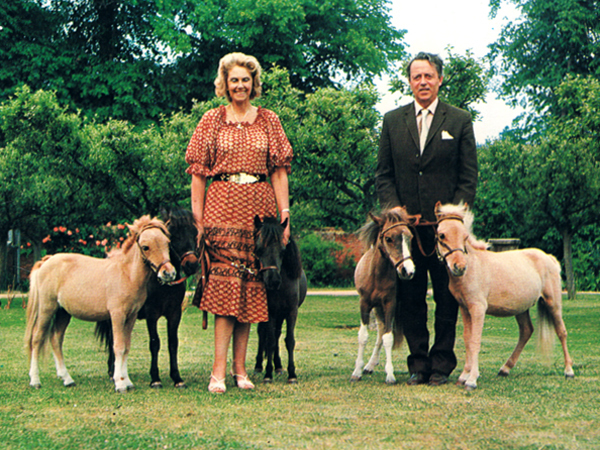 Lord and Lady Fisher had refused to sell their Falabella horses within the UK prior to 1991 but a few were sold at that point. 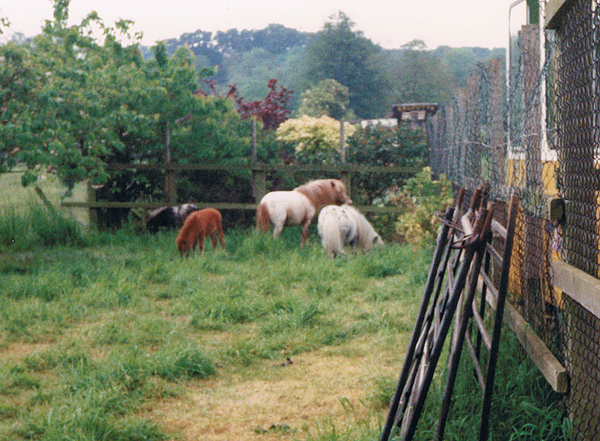 They went to live in Sussex, taking the remaining Falabella miniature horses and some part-bred Falabellas with them. 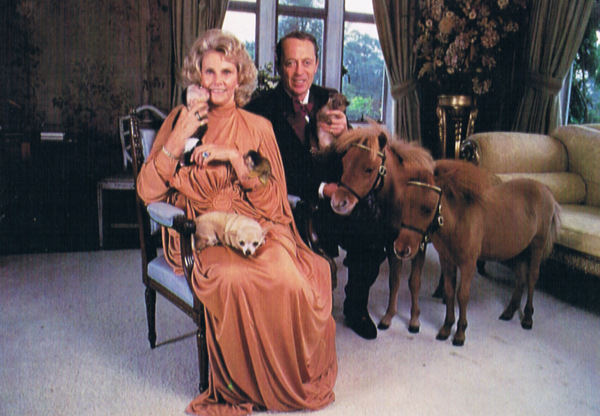 They continued to breed these horses, selling them around the world, and during this time, sold two to HRH The late King Hussein of Jordan who flew in by helicopter in order to select them personally. They sold their last horses in 1997. 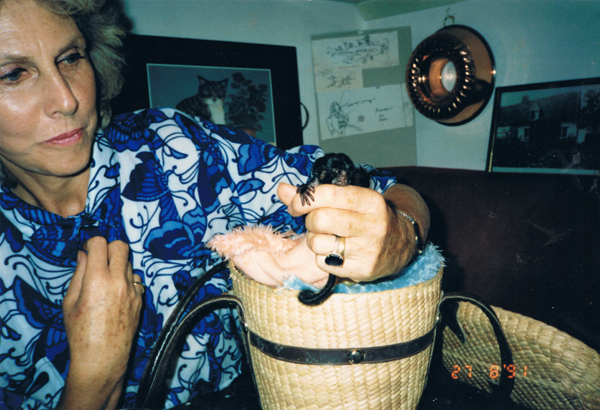 John Vavasseur Fisher was born on July 24th 1921. He attended Stowe and Trinity College, Cambridge. As the grandson of the famous Admiral of the Fleet, Lord (Jacky) Fisher, who was the First Sea Lord during the First World War, he served in motor torpedo boats during the second world war. In 1944, he was awarded the Distinguished Service Cross for action involving German E Boats. Rosamund Fisher, the younger daughter of Lord Clifford of Chudleigh, was brought up in Devon but evacuated to Australia during the war. There she lived on a sheep station in Victoria, married and had three children. Returning to England, she lived in Sussex before re-marrying to John in 1970. With lovely illustrations by David Parkins. 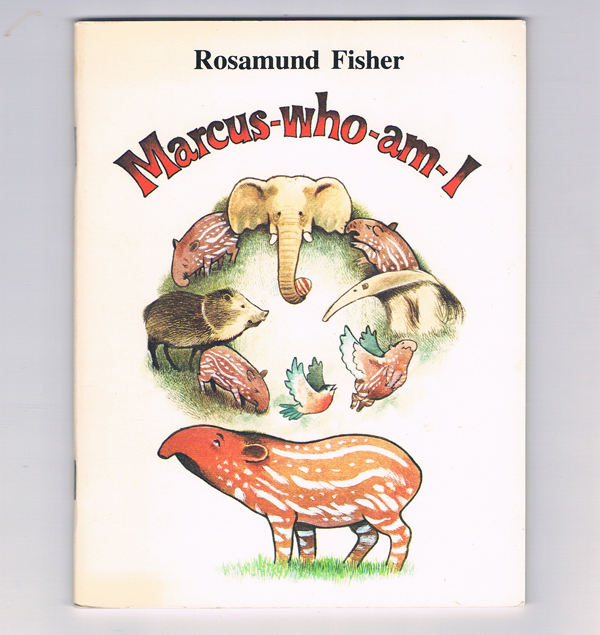 Book: courtesy Lady Rosamund Fisher. 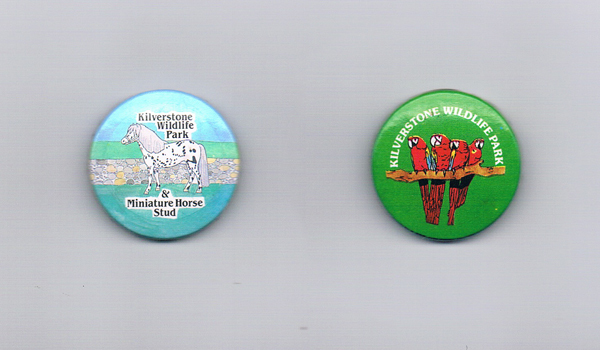 When Kilverstone Wildlife Park closed the Kilverstone Zoo Miniature Railway was auctioned off and went to Woburn. 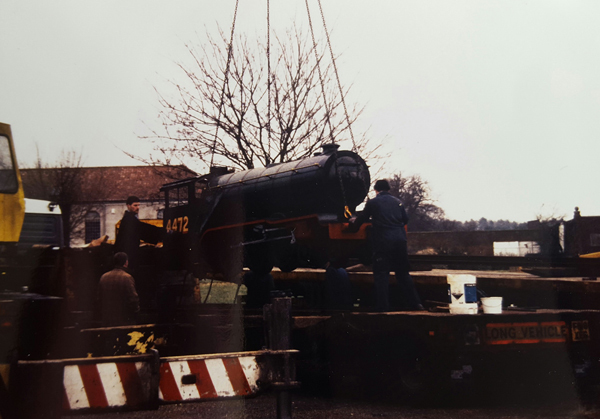 The above photos show the locomotives being removed.